Last year we had a lot of variety in the jean category. We saw coated denim, quilted, washed, jegging, and more. This year I think we will be seeing a more colorful look. Deep greens, blues, and even reds. Today we're dipping our toes into the wine pool (best idea ever, right?) and looking at some deep merlot denim. Talk about a steal. These jeans are the perfect shade of burgundy and I love the look with chambray. A great military/cargo pocket makes these perfect for a casual Saturday. 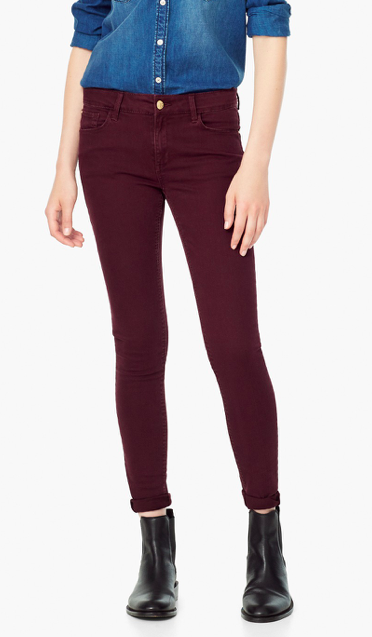 These designer jeans are 51% off. Such a great deal. 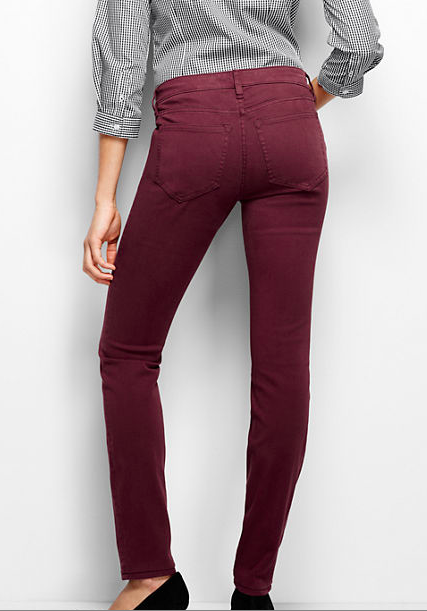 I used the backside picture for these jeans because I want to change your mind about Landsend. 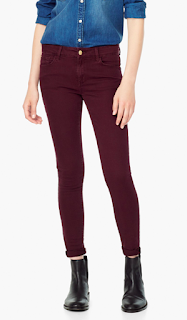 These jeans rule. 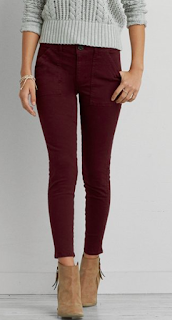 A deep burgundy jean is going to be the go to bottom in your closet. It is great with fall colors and it will transition beautifully to winter sweaters.